ARC of Rockland has introduced Rachel Shemesh as managing director of Residential Services. Ms. Shemesh will oversee the 28 ARC houses and apartments that are home to 189 adults with intellectual and other developmental disabilities. The residences are situated in towns and villages throughout the county. In keeping with ARC’s policy of person-centered services, ARC focuses on providing housing based upon individual needs, interests and aspirations. “Housing is just one aspect of a person’s life,” notes Ms. Shemesh. “Where one lives is, in part, dependent upon how one wishes to live—the proximity to shopping, access to transportation, employment and recreational interests. “For the person who wants to move to a more independent setting—perhaps from a group home to an apartment with a friend, mastering cooking skills or learning to use public transportation may be essential,” explains Ms. Shemesh. “The individual transitioning from the family home to a group home will need a different set of supports.” Whether or not someone needs ’round-the-clock help, occasional assistance or minimal oversight, these are among the issues relevant to ARC’s Residential Services Division. In upcoming months, ARC’s Residential Division will focus its efforts on restructuring accommodations for an aging population. “We need to be cognizant of health and safety issues that accompany aging. This is particularly important in the area of housing. 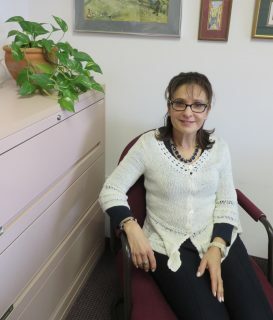 Prior to her current position, Ms. Shemesh worked for two decades at New Concepts for Living, an agency providing services and supports to people with developmental disabilities in Bergen County, New Jersey. She performed as their Executive Director for the last six years where she developed new programs for people with disabilities. She earned a Bachelor’s Degree in Psychology from the University of Buffalo, a Master’s Degree in Clinical Psychology from Roosevelt University in Chicago, and she holds national certification as a Cognitive Behavior Therapist.